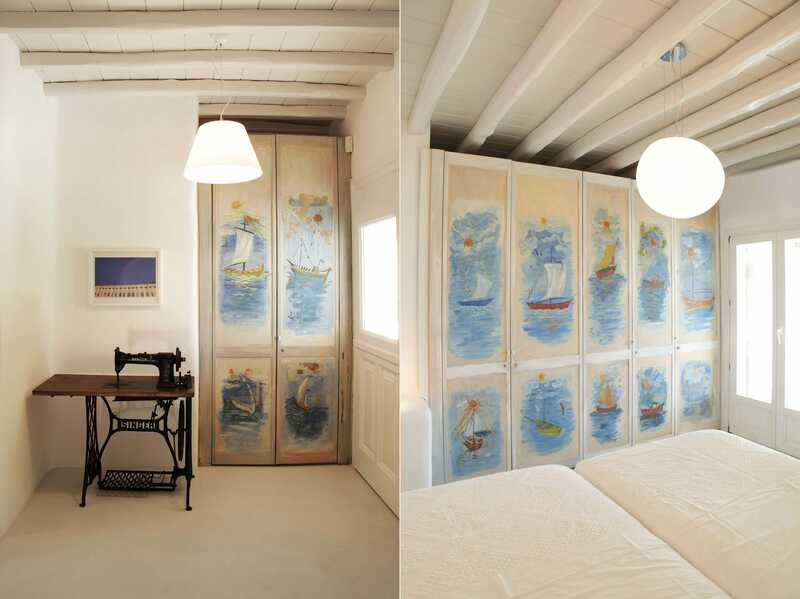 This summer villa in Mykonos was redesigned into a new fresh modern island home, in perfect harmony with the Cycladic architecture. 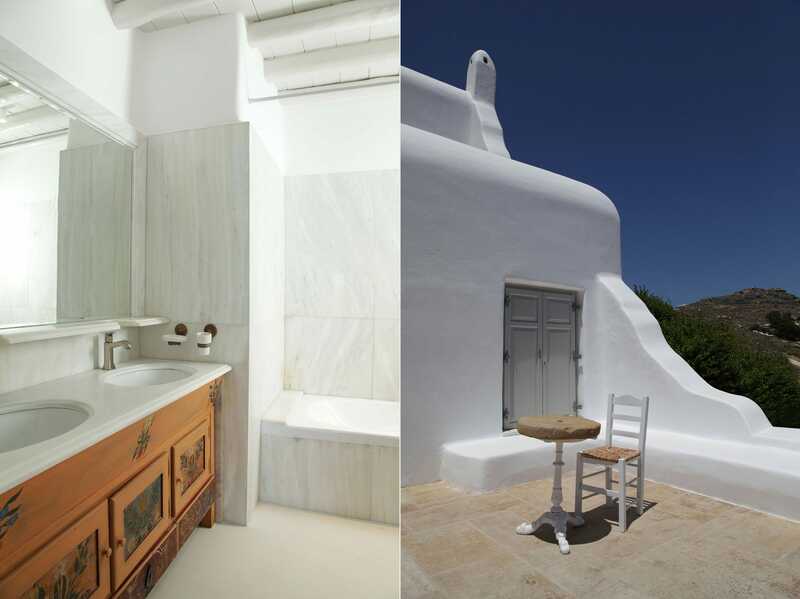 The simplicity of the white-washed walls and white floor of cement on which light is reflected, add to the overall sense of plasticity οf the interior spaces. 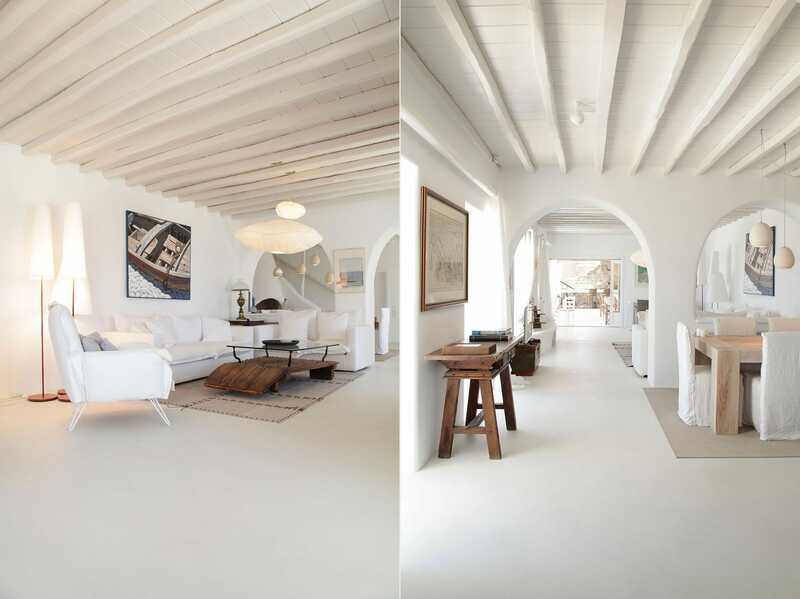 The white wooden boards on the ceiling give an interesting texture to the interior. 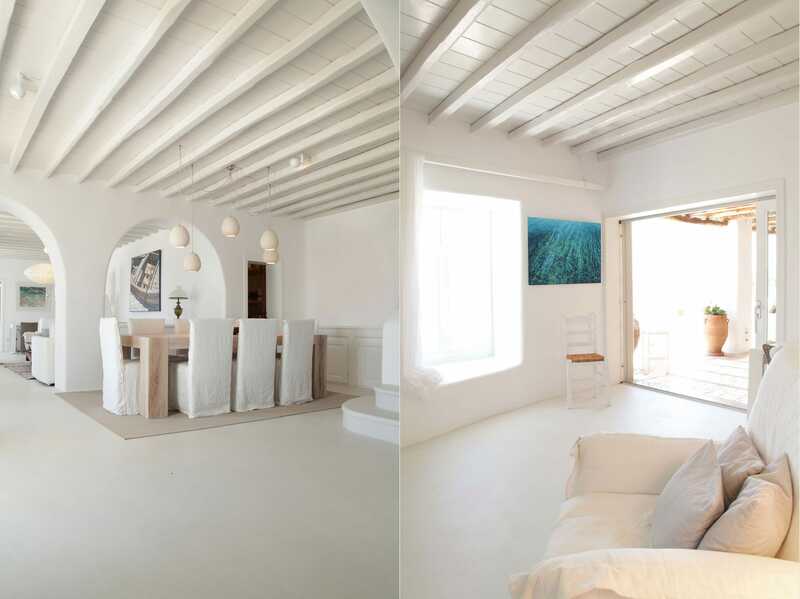 The overall white ambience is combined with a selection of customized furniture in natural tones of wood and stone.